Want to travel abroad but not finding an ideal world travel solution? Your wait ends here, for there is one SIM card that allows you to enjoy unlimited talk/text without worrying about the hefty roaming charges of global roaming charges. This is the most affordable, reliable and flexible world travel SIM card that revolutionizes the wireless freedom with its superb set of calling, texting and roaming features. 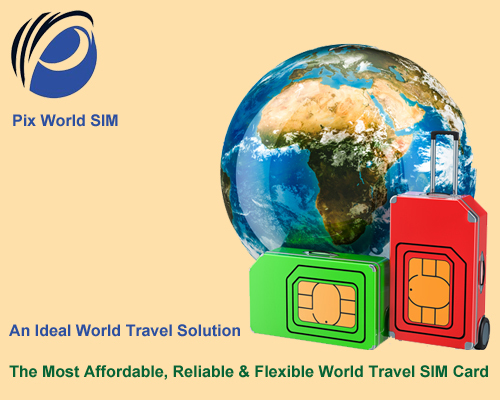 Why to go global with world travel SIM card? We all err some or other time in our lives. Almost all of us have crossed a set limit of using or enjoying something. The same happens with a World Travel SIM Card that we take with us when traveling to a foreign country. While we are on our foreign trip, we hardly pay attention to what type of global SIM card we have, and how we are using it while talking to our friends and family members. Truth turns out when we encounter a “bill shock” after returning from our holidays or any important foreign trip. Due to the bill shock of hefty roaming charges, we continue to postpone our future travel plan, and more often than not avoid any further foreign trip. Though some globetrotters blame their existing SIM card provider, this cannot be held true as most of the time, it is seen that the overcharging is caused by their own overuse of the roaming facility. But you need not worry anymore as; Pix World has entirely redefined the affordability without causing any sort of mobile connectivity blues. Following is a list of the most-talked about features of the Pix’s world travel SIM card that will leave you rapt with its impeccable wireless freedom and mobile connectivity. The world travel SIM card allows you to enjoy unlimited communication data entailing talking, texting, surfing and browsing at the lowest roaming charges. The more miles you cover using this SIM card the more reward points you obtain. To buy this SIM card, you need not sign any contract and pay any additional hidden charges. Being prepaid by nature, it gives you full control over the risks and costs associated with roaming facility. Thanks to its collaboration with over 193 global network operators, the SIM allows you to stay in touch with all your closed peeps in over 193 countries and 200 cruise ships. Being powered by America’s largest 4G LTE networks, the world travel SIM card offers you completely rigmarole-free wireless freedom and mobile connectivity. Overall, the Pix’s world travel prepaid SIM card will be your ideal companion to travel with way to travel abroad. When it comes to traveling abroad, there are many things to worry apart from bag-packing. Hence, before your thoughts start wandering to sandy beaches and picturesque mountains, make sure that you buy an ideal world travel prepaid SIM card, which can offer you affordable international roaming packs and unlimited communication data. International roaming is not like the national and domestic roaming. Rather it is both complex and expensive. If you get activated your devices – smartphone or tablets – with an international roaming but without any packs, it will be extremely costly. But you can avoid these absurdly high prices if you buy Pix’s world travel prepaid SIM card. 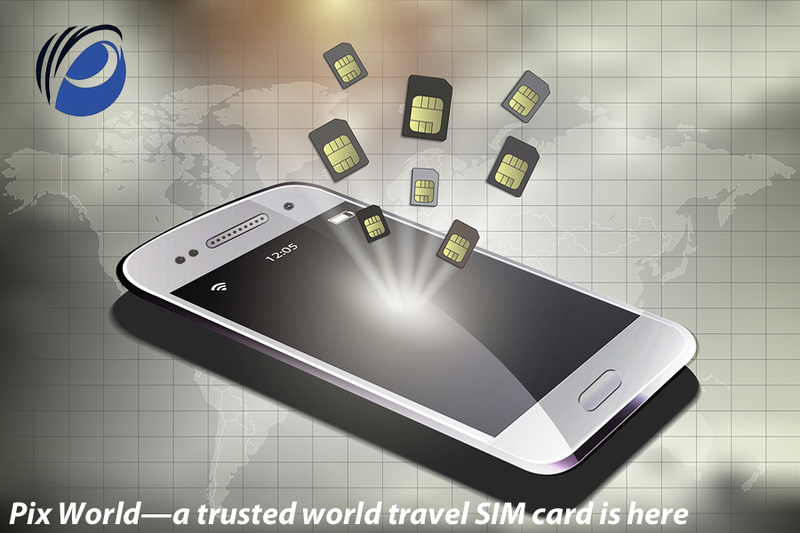 The world travel SIM card not only revolutionizes the wireless freedom but also redefines the affordability. It facilitates you unlimited communication data. For example, you can enjoy talking, texting, surfing and browsing at the lowest roaming charges. It allows you to collect miles & more award miles while using universal prepaid SIM card. This means the more you talk the more rewards for you. Where other mobile carriers ask you to go through a lot of documentation formalities, Pix World doesn’t require you to sign any contract and pay any additional hidden charges. Since this is a prepaid SIM card, so you can have complete control over the risks and costs. Pix World keeps you connected to all your friends and family members in more than 193 countries and over 200 cruise ships, for it has collaborated with more than 150 global network operators. Since the world travel prepaid SIM card is powered by America’s largest 4G LTE networks, it facilitates fully fuss-free wireless freedom and mobile connectivity. Overall, it can be said that the Pix’s World Travel Prepaid SIM Card is your perfect way to travel abroad. Hence, when you plan to travel abroad, you must make sure that you have the right SIM with you to avoid distractions including frequent call drops and undelivered messages. Do you frequently dip in and out of countries on short trips a number of times a year? Do you have a home base in a foreign land and continue to take a few short trips a year? Do you skip through many countries in a hurry? Or, are you planning to leave for a longer trip? Then investing in the Pix’s world travel prepaid SIM card may be sensible choice, for it comes cheaper than roaming and is much more convenient than your local SIMs. No matter, for what reasons, you travel abroad, the SIM card caters to your needs by virtue of its superb set of features. Expressly designed for the first time travelers and globetrotters, the SIM not only rids you off the hassles of hefty roaming charges, but also allows for wireless freedom without the hassles of constant connectivity breakdown and undelivered messages. Moreover, with the introduction of this features-packed SIM, the mobile carrier aims to revolutionize the wireless freedom and redefine the affordability.om and affordability. Being teamed up with over 150 global network operators, it enables you to call and surf at the lowest roaming charges in over 193 countries and over 200 cruise ships. It allows you to earn more rewards if you cover more miles. The simple algorithm is that the more miles you will be covering the more rewards you earn. Being prepaid by nature, it allows you to have full control over risks and costs. What’s more? When you choose to buy this SIM, it doesn’t ask you to sign any contract, ties, and pay additional hidden charges and more. Being powered by America’s largest 4G LTE networks, it covers the entire America. Over, by providing all these features, the World Travel Prepaid SIM Card saves you up to 85% on roaming. How can you get this world SIM activated on your phone? To activate this SIM card on your devices such as smartphones/tablets, just BYOD – bring your own unlocked to Pix World. Insert the SIM into your devices such as smartphone and/or tablet. Open the browser re-directed to the homepage. Now, fund your SIM fast with a credit card. Choose a plan from the homepage. Right after the above process, a confirmation SMS notification will be sent informing you about the successful activation of your devices, be it tablets or smartphones. Staying connected, calling and messaging are what comes first when it comes to traveling abroad to explore a new country. These are the most important activities that an international traveller always does when traveling and staying in a foreign land. However, the things go wrong when you find that world travel SIM card stops working and leaves you completely handicapped to even messaging your loved ones. In such an irritating and awkward situation, you swear not to go ahead with your existing SIM card, and decide to switch to another but ideal world travel prepaid SIM card. So, you search around the internet and succeed in finding an ideal world travel SIM card, which facilitates amazing feature of unlimited talking, texting, surfing and browsing. When you buy Pix world travel SIM card, you can explore a selection of talking, texting and data roaming rates for your next travel destination abroad. 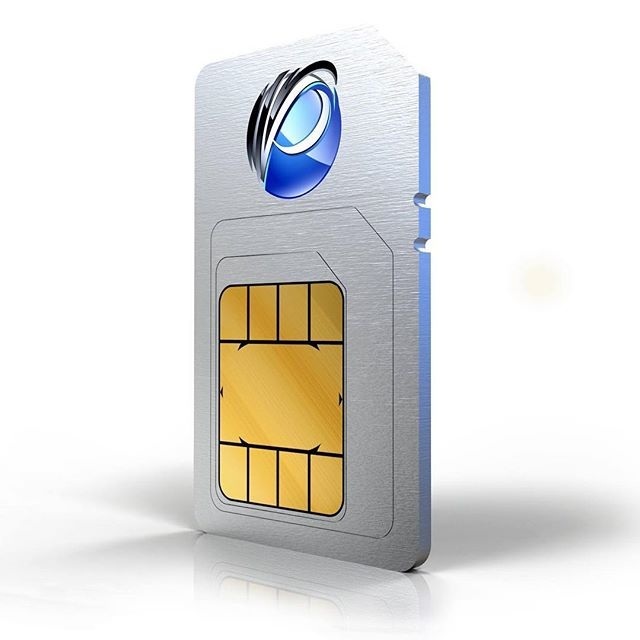 The SIM card keeps you, your spouse, family member(s), friend(s) and/or colleague(s) connected worldwide at the rates that are much lower than the local network operator(s). Thus, when you travel abroad with this SIM card, it saves you up to 85% on roaming. 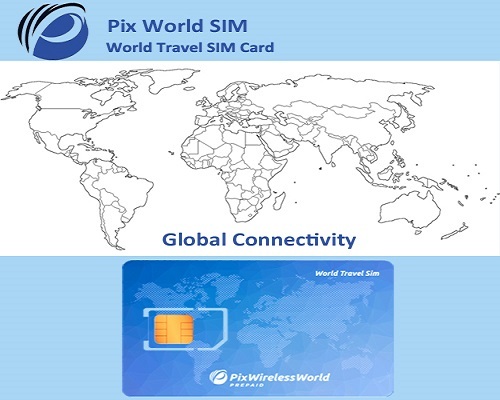 Pix World SIM is a universal SIM card, which offers worldwide mobile connectivity, thanks to its collaboration with more than 150 global network operators. By virtue of its strong connectivity with these network operators, the leading mobile carrier in America offers coverage in more than 193 countries and over 200 cruise ships. Moreover, by teaming up with more than 150 global 4G/3G network operators’, Pix Word aims to give it ball back at a fraction of the cost and guarantees to give superior connectivity in your country of stay under/or your next travel destination abroad. When it comes to unlimited, Pix World stands at the first place because it doesn’t require any additional data or Wi-Fi connection for messaging service in most countries. The SIM also allows you to chat free on your favourite apps such as Skype, WhatsApp, Facebook messenger, Viber, Line, We-chat. Besides, the world travel SIM card with free messaging facilitates you 1 year free Pix Chat unlimited messaging. Additionally, where other global SIM cards providers ask you to go through a hectic and heavy document procedure, Pix world SIM doesn’t ask you sign any contract, ties, and pay any extra hidden charges. The best thing is that along with being powered by the America’s largest 4G LET networks, the SIM can cover upo to 99% of America. Yes, when you starting using this world travel SIM card in your unlocked devices (smartphones and tablets), you earn rewards. The basic thing is that the more miles you will cover using this SIM card the more rewards you earn. Thus, the Pix World Travel SIM Card With Free Messaging benefits you in a number of ways, and allows you to enjoy completely hassle-free talking, texting, surfing and browsing. 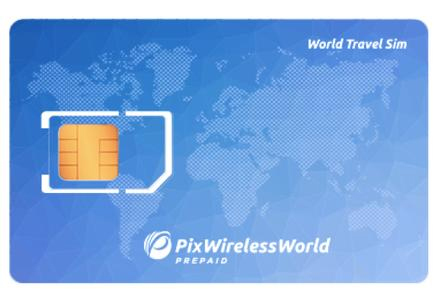 Conclusively, it can be said that if your existing mobile carrier is not providing you what you want, Pix world travel SIM card may be your ideal mate to go with and enjoy rigmarole-free wireless connectivity. When it comes to traveling abroad, what we all expect from a mobile carrier is not at all disruption, disconnection while talking, and texting to our friends and family members. Hence, we buy an ideal world travel SIM card that will not leave us stranded when traveling and staying abroad. While we may involve ourselves in a lot of due diligence to find such a SIM card, only a few can be trusted when it comes to obtaining an ideal world travel SIM card. Want to enjoy and experience the best and fuss-free wireless solution provider before traveling and staying abroad? Go nowhere but to buy Pix World’s world travel SIM card! Whether you are traveling a country to do some advance study, attend any corporate meeting, business meet, or simply like to spend some quality time with your closed ones, Pix World’s travel SIM card keeps you connected to all your near and dear ones, thanks to its impeccable mobile connectivity service and wireless freedom. The introduction of this world travel SIM card is a revolutionary move from Pix World. To facilitate you non-stop mobile connectivity and wireless freedom, the mobile carrier has collaborated with over 150 global 4G/3G network operators’ and through this SIM now they want to give it all back at a fraction of the roaming cost. Thus, they promise to provide superb fast mobile connectivity in your country of stay and/or on your next travel destination world. Additionally, being powered by America’s largest 4G LTE networks and having teamed up with more than 150 global network operators, they successfully deliver completely fuss-free coverage in more than 193 countries and 200 plus cruise ships. After inserting this world travel SIM card in your unlocked devices such as smartphones and tablets, you can talk, text, receive, surf and browse without the need for any additional data or Wi-Fi connection. With this SIM card in device, you can also enjoy free chatting on apps such as Skype, WhatsApp, Facebook messenger, Viber, Line, Wechat. 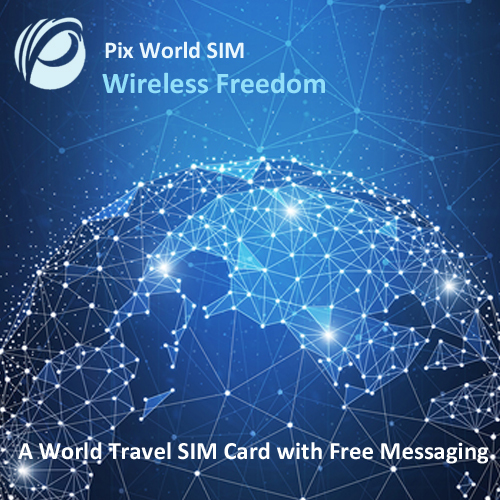 Not only free chatting and unlimited talking as well as texting, Pix world travel SIM card also allows you earn while you talk. So, the more miles you cover while talking the more rewards you will earn. Moreover, where to buy other mobile carriers’ SIM, you have to go through a lot of formalities, Pix World doesn’t ask you to sign and submit any contract with it. You even need not pay any additional fees. The international SIM card not just beats the heat of other mobile carriers on the front of mobile and wireless, but also allows you to experience sensational coverage in the countries it boasts of offering its coverage. Expressly designed for everyone, Pix’s World Travel SIM Card is in fact an ideal recourse for those planning to travel for a country abroad. Planning to travel abroad and don’t want to be left stranded when traveling and staying abroad, buy an ideal world travel SIM card. 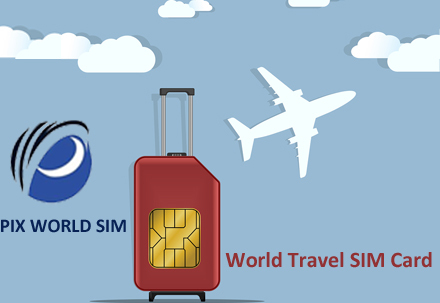 Now the question is which world travel SIM card you should choose to purchase when there are so many mobile carriers claiming to offer their world travel SIM cards. The best answer to this is Pix World Travel SIM card, which only revolutionizes the wireless freedom but also redefines the affordability as compared to other global telecom service providers. This way, the world travel SIM Card is specifically designed for those who want to travel abroad but within a fraction of cost and without any hassles of disconnection. 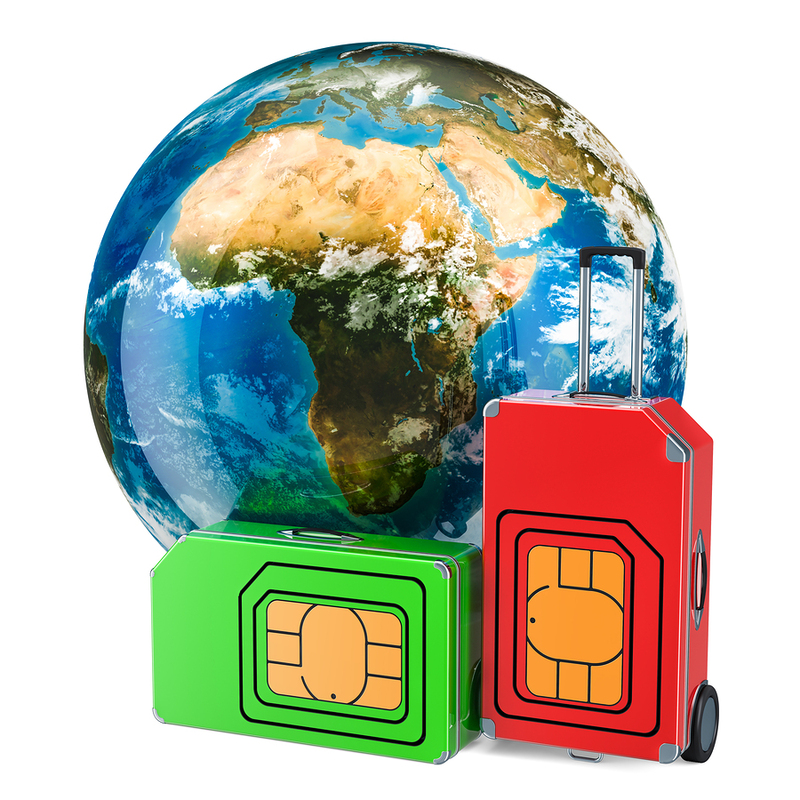 No matter for what purposes and reasons you are traveling to abroad, this SIM will never leave you in lurch rather offers ultimate wireless connectivity within a fraction of call rates. You can call and surf at the lowest roaming charges in more than 193 countries. You can collect miles & more award miles while using prepaid world SIM card. By getting prepaid SIM card, you will be able to have full control over risks and costs. You need not sign any contract, ties, and pay any additional hidden charges and more. It is powered by America’s largest 4G LTE networks. It allows for more than 150 global network operators. It gives more than 200 cruise ships coverage. It saves you up to 85% on roaming. After successfully inserting the world travel SIM card in your unlocked device (smartphones/tablets), you can enjoy and experience the pleasure of messaging service in most of the countries without requiring any additional data or Wi-Fi connection. So, the Pix world travel SIM card allows you to enjoy free chatting on apps such as Skype, WhatsApp, Facebook messenger, Viber, Line, We-chat. What is the ‘Wow Factor’? Well, the ‘Wow Factor’ with the Pix World Travel SIM Card is that it saves you more than 85% on roaming! Finally, if you believe you are paying for nothing to your existing mobile carrier want to spend much on global roaming, just buy a SIM card from Pix World and stay hooked up to your friends and family members anywhere, anytime. 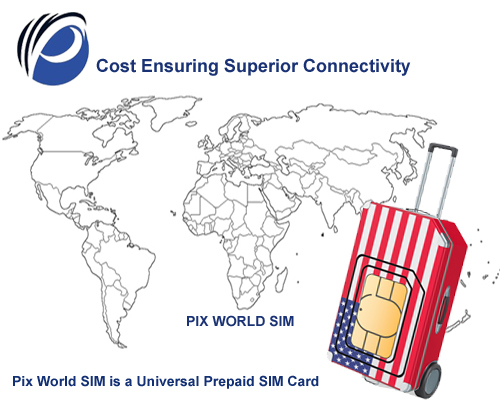 Pix World is one of the leading world SIM card providers on the planet today. But how has it become the best in business in the first place? Well, it’s all about hard work, dedication, and consistency, to be precise. Pix World is one of the best World Travel SIM Cards that money can buy right now. And that’s because this telecom company offers the ultimate coverage at rates that aren’t eye-popping. Now, let’s take a deep dive on the reasons why Pix World is the real deal. Pix World is a robust telecom service provider that offers class-leading network. This awesome network is made possible because it consists of 150 telecom operators. What else? Each of them is operating on 3G and 4G networks. So, in a way, when you’re connected to Pix World, you’ll be hooked to any of these operators. And that’s eventually how Pix World has managed to deliver awesome coverage in more than 193 countries and over 220 cruise ships. This way, when you’re connected with Pix World, you just can’t imagine facing any call drops or undelivered messages ever. Now that you know about connectivity, let’s discuss affordability. It’s often seen that anything that’s good comes at a super-high price tag. So, you’ll assume that Pix World’s SIM plans will also cost you a lot. That, however, is completely untrue. Instead, Pix World offers a suite of wireless plans that’ll easily let you save more than 120 percent of roaming charges. Well, that’s definitely a lot of saved money that you can use elsewhere. So, in the end, it’s completely justified to state that whenever you’re traveling abroad, you know why Pix World is the real deal. Just in case you’ve got any doubts regarding Pix World’s wireless plans, get in touch with the company’s sales team right away. Traveling the world is exciting. That’s because you, as an international traveler, will experience new culture and interact with new people. But all the exhilaration of being a global traveler shouldn’t come at the cost of connectivity. You, as an international traveler, need to stay in touch with those who matter the most. There’ll be times when you’ll have to share something important with someone important back home. But staying in touch while you’re traveling overseas is easier said than done. That’s when you’ll need a world travel prepaid SIM card. But finding a good world travel SIM card is not an easy task. Well, because there are so many options out there that you’re likely to get confused. But, wait, we’re here to resolve your confusion. By providing you the low-down on the best world travel prepaid SIM card—Pix World. Pix World does what every leading global wireless service provider ought to do. It delivers sensational coverage. How? Well, Pix World will deliver best-in-class coverage in more than 193 countries and 220 cruise ships. That means when you insert a SIM card from Pix World, you’ll stay connected on both land and sea. Just like a true boss. And if that wasn’t enough, Pix World even ensures that this sort of awesome coverage should not cost a lot. That is to say, when you insert a SIM card from Pix World in your unlocked device, you’ll experience wireless freedom without paying through the nose. To be precise, Pix World’s plans will let you save more than 120 percent on global roaming. So, what’s the wait for? Now, you know which international SIM card will deliver the best wireless coverage. So, don’t delay. If you’re traveling abroad anytime soon, it’s better you do that with the reliability of Pix World. When you think of buying an international prepaid SIM card, you’re literally spoiled for choice. In fact, there are so many world travel SIM card options out there that you’re likely to get confused—and, sometimes, even frustrated. So, if you want to buy a good world travel SIM card, you need to invest your money in a trusted solution. Well, it’s something that’ll let you stay connected wherever you are; it’s something that’ll let you stay in touch with your world at a fraction of the cost charged by your native network provider. Pix World offers global coverage at rates that won’t break the bank. This sensational coverage, which Pix World offers, is provided in more than 193 countries and over 220 cruise ships. What’s more? This coverage has been made possible only by Pix World’s robust network. This network includes more than 150 telecom operators. And, best of all, these operators work on high-speed 3G and 4G networks. That’s why when you insert a SIM card from Pix World, you won’t ever experience patchy coverage. Now that you know what Pix World is delivering, let’s understand the price factor as well. To be very clear, Pix World wants that every international traveler should experience its worldwide coverage no matter what. That’s why when you’re with Pix World, you’ll get a lot of affordable wireless plans. 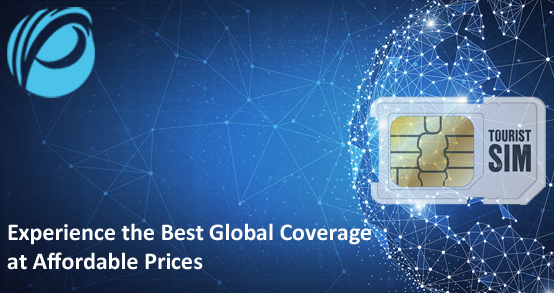 As a matter of fact, if you stick to one single wireless plan from Pix World, you’ll easily manage global coverage and save more than 120 percent on the roaming charges. So, what’s the wait for? If you’re having Pix World’s international prepaid SIM card in your corner, you don’t have to fret too much about global roaming, period! Every international traveler wants to experience the best version of wireless freedom every time. However, that’s not exactly what these travelers get for the most part. Well, long story short, it’s difficult to deliver sensational coverage consistently across the entire planet. That’s why. Right now, you’ll find a lot of different global SIM solutions on the market. And most of them are full of tall tales about coverage and affordability and whatnot. But only a few are able to match consumer expectations. Among those few stands Pix World. Pix World is a global SIM solution provider that delivers the best wireless plans at rates that won’t break the bank ever. And the quality of coverage, which Pix Word offers, doesn’t take a hit just because these wireless plans are affordable. So, now, let’s dive deeper into the world of Pix World and find out how it’s different from the competition. Pix World delivers the best coverage at really affordable price points. That’s actually the biggest USP of this global SIM solution provider—that’s what has attracted a lot of international travelers toward this SIM solution in the first place. Pix World delivers the ultimate coverage in over 193 countries and more than 220 cruise ships. And this has been possible because the company has a robust network. This network comprises more than 150 telecom operators. Plus, the best part is that these operators work on high-speed 3G and 4G networks. This way, Pix World’s SIM solutions deliver best-in-class coverage in different parts of the world. Well, that’s precisely what makes Pix World a leading world travel SIM card available on the market today. Now, let’s head toward this SIM solution’s affordability. Unlike other telecom service providers, Pix World’s wireless plans are priced super affordably. In fact, if you just stick to one single plan from Pix World, you’ll save more than 120 percent of your roaming charges. So, what’s the wait? Now, you know what makes Pix World the best world travel SIM card that your money can buy. In case you need any more help picking the right wireless plan for yourself, get in touch with one of Pix World’s sales reps right away. This feature is currently undergoing maintenance and will be available soon.